Whether you are using an estate agent to manage your rental property, or you’re undertaking the management yourself, the key to a hassle-free letting is to minimise the number of questions, phone calls, texts and emails during the tenancy. Most important is to handover a property in good order and where everything works. But there there are some simple steps you can take to set your tenants or managing agent up from the very beginning with all the information they need while you get on with living. Emergencies do happen and the last thing you want in the event of a crisis is to have your tenants running around trying to find where to shut off the gas, electricity or water. Leave clear instructions over where to locate the services. When are the bins collected? Are there separate days for general waste and recycling? Is there a procedure over where and when the bins should be left out and returned to their hiding place? Do you have specialist bins with particular bag sizes? Leave details. Do any surfaces in your property require special cleaning procedures or maintenance? If so, leave complete instructions along with a supply of the correct cleaning products and details on where to purchase replacements. If you are leaving any plants at your property – indoors or outdoors – it’s wise to leave clear instructions on watering and care so that even the least green-fingered of tenants can keep your plants alive. If you’ve used a gardener to take care of things, leave details (or include a regular gardener’s visit in the rental contract). To make it easy for your tenants to keep your property in good order and touch up any knocks or marks, leave any tins of paint or leftover wallpaper in a cupboard and clearly label them for which room they relate to. For any specialist lighting, provide details of what bulbs are required and where replacements can be ordered. Every home has its idiosyncrasies and not all of them require expense and repair. If a key wants a wiggle or a door needs a nudge, leave a note that explains the required knack in getting things to do what they should do. As with anything, preparation is everything. 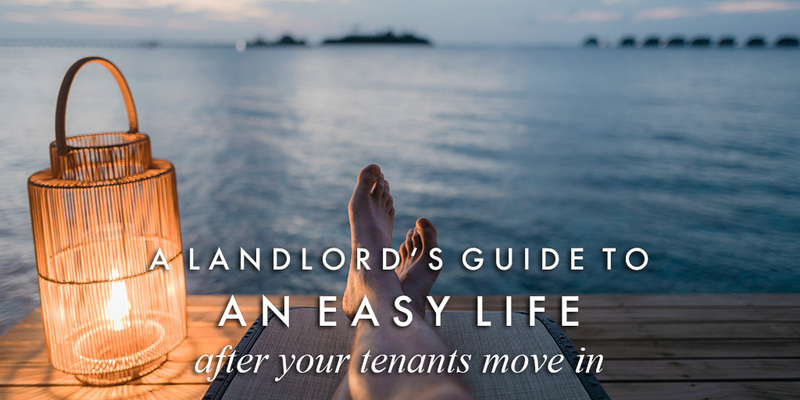 And empowering your tenants and managing agents to look after your property, without having to bother you whenever something minor happens, is the key to an excellent relationship and an easy life. Nash Partnership offers a full range of letting and property management services from High Street branches at Berkhamsted and Tring. Interested to know more? Our experienced teams would be delighted to help.